Does your organization have a question, which requires legal expertise? You can file your request here! 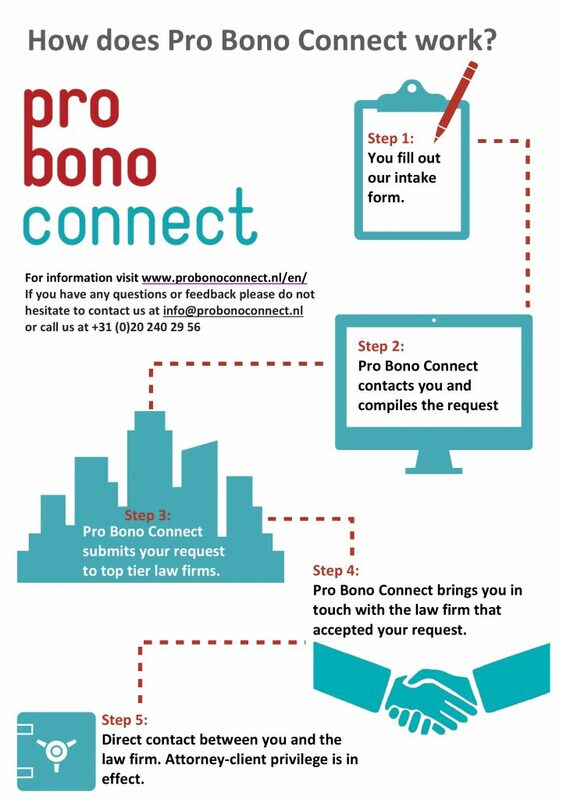 Please fill in this intake form, and send it to info@probonoconnect.nl. We will get in touch with you as soon as possible.